The “recent reform and modernization” to which Rupprecht refers is part of an ongoing and widespread PLA force modernization program which focuses on giving the PLA capabilities to conduct what Chinese military strategists call informatized, integrated joint operations. China’s 2015 defense white paper, released by the State Council Information Office of the People’s Republic of China, directs the PLA to “win informatized local wars” with emphasis on struggle in the maritime domain. 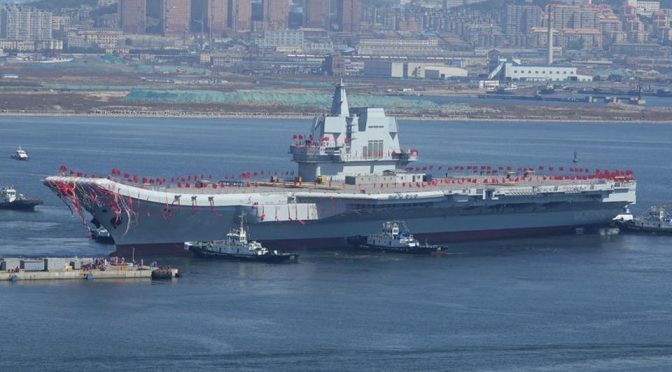 Additionally, the white paper addresses the need for further development of PLA Navy (PLAN) capabilities in the face of an expanding mission set, stating the PLAN will shift its focus from “offshore waters defense” to the combination of “offshore waters defense” with “open seas protection.”4 This grander vision for the PLAN aligns with China’s perceived need to protect what it considers its “core interests” – safeguarding its national territorial sovereignty and maritime rights and interests in order to ensure Chinese economic and social development. Toward this end, as Rupprecht’s explains through Andrew Erickson in Chapter 6: “The PLAN is more likely to develop a limited power projection that enhances China’s ability to defend its regional interests; to protect expanding overseas interests; to perform non-traditional security missions.”5 It would seem logical therefore to assess that the PLANAF represents a growth industry for the PLAN over the coming decades. 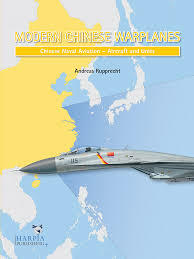 In Chapters 2 through 5 of Modern Chinese Warplanes: Chinese Naval Aviation – Aircraft and Units Rupprecht offers a solid description of how the PLA is slowly and methodically improving the power projection capabilities and training of its naval aviation combat arm. Chapter 2 briefly provides a helpful explanation of aircraft markings and the serial number system utilized by the PLANAF for its various platforms. Chapter 3 supplies ample information regarding new aircraft variants, improved avionics and sensors, and refueling capabilities of the latest PLANAF fighters, fighter-bombers, bombers, transport, special mission aircraft, helicopters, and unmanned aerial vehicles (UAV). Chapter 4 couples the aircraft with ordnance, offering insight into the latest PLANAF air-to-air missiles (AAM), air-to-surface missiles (ASM), guided bombs, electronic warfare (EW) and targeting pods, as well as torpedoes. And, as has become his calling card and his books’ pièce de résistance, Rupprecht once again supports his text with numerous colorful and vivid photographs of the platforms described. At the beginning of Chapter 5, Rupprecht alludes to the notion of “the greatest technology is only as good as the person (or pilot) using it” by stating “the latest developments in tactics and training are probably even more important for the future outcome of any potential operational use” and explains that both the PLAAF and PLANAF have developed less-scripted and more realistic and integrated training for each arm’s respective pilots over the past decade.6 The rest of Chapter 5 outlines the evolution of PLANAF pilot qualifications, training regimens, and platform transition timelines – a critical, yet not widely understood facet of the PLANAF’s modernization effort. Rupprecht saves the most intriguing issues and subsequently his best writing for Chapters 6 and 7. 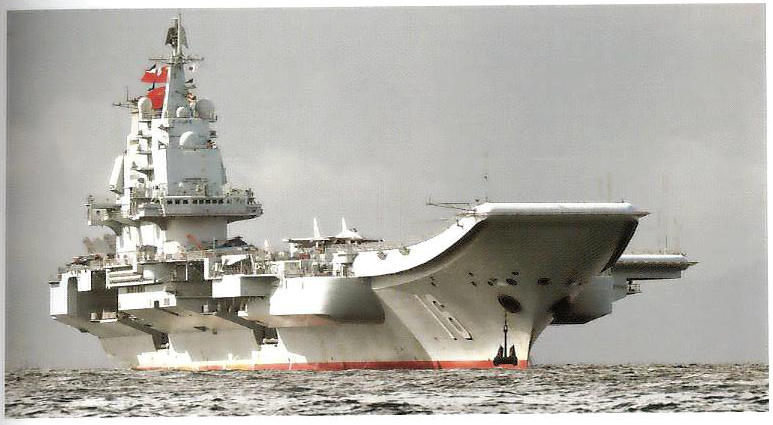 Chapter 6, at only four pages long, provides a concise yet wonderful synopsis of the current and future developments within China’s aircraft carrier program. 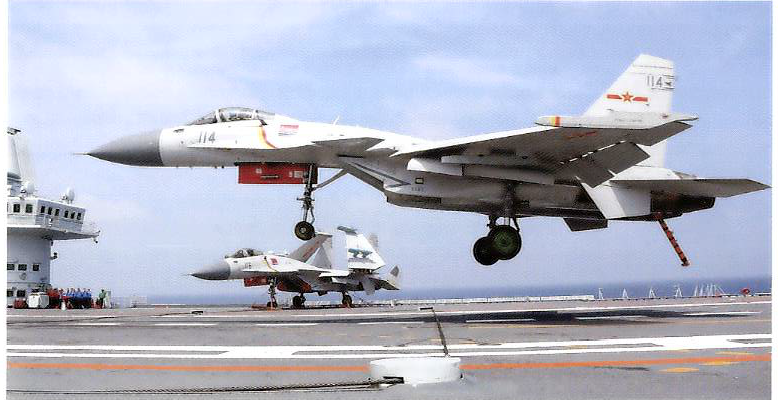 Most of the chapter’s pages focus solely on the current status and future projections of China’s current aircraft carriers (CV-16, Type 002, and Type 003) and not the associated air wing which currently uses the J-15 multi-role fighter as its centerpiece (best described in Chapter 3). It remains to be seen if the PLAN defines “air wing” like the United States Navy. If so, then a PLAN air wing will theoretically be composed of various airborne platforms that conduct a variety of missions including airborne early warning (such as the KJ-600 featured on page 29), electronic warfare, in-flight refueling, and other specialized aircraft. Chapter 7, entitled “Naval Aviation Order of Battle (March 2018)”, provides much more than a tabular depiction of the PLANAF’s order of battle (OOB), as the title suggests. Just as he did in his 2012 Modern Chinese Warplanes: Combat Aircraft and Units of the Chinese Air Force and Naval Aviation, Rupprecht effectively describes and illustrates, via well-structured text and vibrant pictures and charts, both the operational missions and geographical responsibilities of the three Theater Commands that have a corresponding Fleet Naval Aviation Headquarters (Eastern, Southern, and Northern) thus capturing the growing operational impact of the PLANAF. Most intriguingly however, on pages 58-60, Rupprecht provides a brief yet highly insightful assessment of the PLANAF’s seemingly inevitable evolution toward developing into a true “blue water” force. It is here, in this author’s opinion, in combination with pages 52-53 of Chapter 6 previously mentioned, that Rupprecht captures the very essence of the book for these are the pages that present the strategic and operational impetus of why the PLA is continuing down its path of remarkable military modernization – an effort that may leave it as one of the world’s most dominant military forces. This larger strategic context is far too important to get lost in the pages of latter chapters. It may have been better for this level of analysis to be presented and expanded upon in Chapter 1 if not the introduction. 1. Rupprecht, Andreas. Modern Chinese Warplanes: Chinese Naval Aviation – Aircraft and Units. Houston: Harpia Publishing, 2018. p. 7. 4. “China’s Military Strategy,” State Council Information Office of the People’s Republic of China, May 2015. 5. Rupprecht, Andreas. 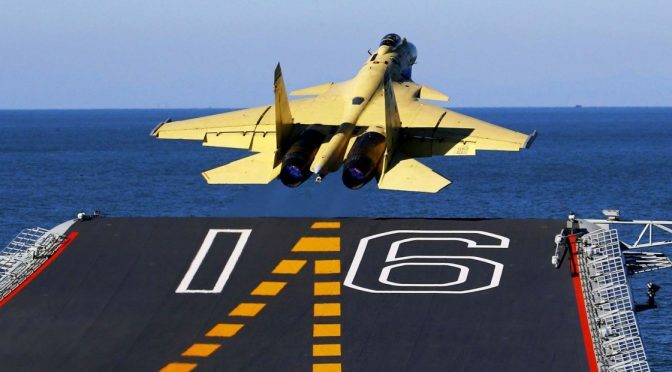 Modern Chinese Warplanes: Chinese Naval Aviation – Aircraft and Units. Houston: Harpia Publishing, 2018. p. 53. Two years ago, President Xi Jinping announced the reorganization of the Chinese People’s Liberation Army (PLA) and the implementation is gaining momentum. The changes, which go far beyond administrative restructuring and equipment modernization, will make the world’s most massive fighting force more modern and flexible. The reorganization gives Xi and his team an opportunity to purge political opponents within the military and address many of the problems that have plagued the military for decades. During his speech to the National People Congress in 2012, Hu Jintao announced the modernization of the PLA, seeking a modern armed force, able to “win local wars under informationized/hi-tech conditions.” Under Xi Jinping, these modernizations began to materialize. The first noticeable change was the restoration of political officers in the PLA, a clear sign of turbulent relations between the new leadership and the generals. Next, Xi announced a wide-reaching anti-corruption campaign. 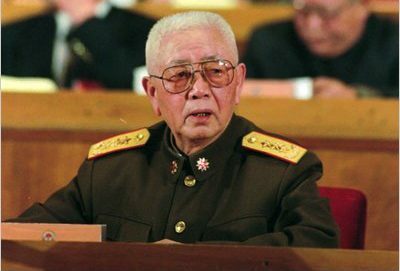 Most notably, former deputy chairmen of the Central Military Commission, Generals Xu Caihou, and Guo Boxiong, were among those accused of corruption. Their fate was settled in 2016 – Xu died of cancer while under arrest and Guo was sentenced to life in prison. With the backdrop of the anti-corruption campaign, a real military reform was afoot – in 2014, a reorganization of the command structure was announced. The number of military regions was reduced from 7 to 5, and a joint operation command was established to coordinate actions of ground, air, and naval forces in each area. There was also an increase in the role of the Air Force and Navy, both of which are more prominent in a state with global ambitions as opposed to an Army-dominated system that has long characterized China’s military. In celebration of the 70th anniversary of World War II, Xi Jinping announced the reduction of the PLA by 300,000 soldiers to 2 million standing troops. On the last day of 2015, amid overall personnel reduction, new military branches were established – the Rocket Force and the Strategic Support Force. 2016 brought about important, but less flashy, changes. Specifically, the creation of a DARPA-equivalent research lab was announced in March 2016. The agency was operational in July 2017. In April 2016, military education reform was announced and, as a result, departments related to land forces reduced the number of freshmen by 24 percent and the departments of logistics and support shrunk by 45 percent. Conversely, the number of students admitted to courses related to aviation, Navy, and missile technologies was increased by 14 percent. An increase of 16 percent was planned for departments related to space technologies, radars, and drones. Further, closer cooperation between universities and training units was also announced. This was the result of increasingly louder complaints that soldiers cannot take full advantage of the increasingly modern equipment. Overcoming this gap is now considered one of the most critical tasks to the PLA. Xi Jinping stressed several times a great need for officers who have a broad knowledge of advanced technologies. Most concerning is the shortage of IT specialists. Like many other countries, Chinese IT companies offer much better compensation and work conditions, robbing the military of talent. Higher military income and attractive career paths are being implemented to prevent the talent bleed. Further, to attract talented college graduates, the draft was aligned with the college graduation season. In September 2016, the activation of the Joint Logistics Support Force was announced. This step aims to improve the decentralized PLA logistics system. Within each of the military regions, a Regional Joint Logistics Support Center was established with headquarters in Wuxi, Guilin, Xining, Shenyang, and Zhengzhou. Of note, the Joint Logistics Support Force is not subordinate to the PLA HQ, but to the Central Military Commission. Starting in 2017, even more radical changes were made. In mid-March, a five-fold increase in the size of the Marine Corps was announced. The force now numbers 20,000 soldiers organized in two brigades, but the goal is as many as 100,000 troops in six brigades. The greatly expanded Marine Corps is dedicated primarily to the protection of the maritime thread of the One Belt, One Road, and defense of the overseas interests of the Middle Kingdom. The Chinese Marines will be permanently stationed in Gwadar, Pakistan, and in Djibouti. The African garrison is rumored to have as many as 10,000 soldiers. It is important to mention that, according to media sources, the first Type 075 amphibious assault ship was laid down in March 2017. Specifics on the ship design and numbers are still unknown. The Chinese Admiralty wanted LHDs similar to the American WASP-class but opted for a smaller ship – based on the French Mistral-class – due to financial constraints. Recent information suggests that “something in between” has been chosen. Amphibious assault ships are necessary if China wants “American style” power-projection capability. The Chinese are well aware of the unique requirements of the Marines, and outdated PLAN Marine Corps equipment is discussed openly. The force has spent years preparing for an invasion of Taiwan and operations in the nearby waters of South and East China Seas requires a thorough reorganization. 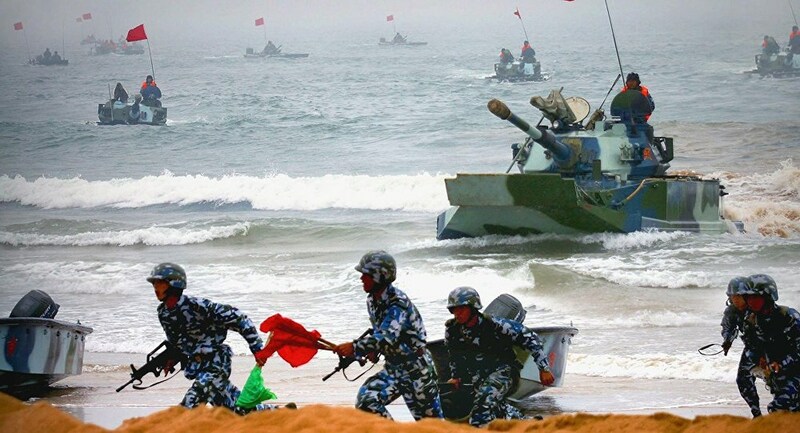 The marine brigades of the PLAN are not the only amphibious assault units of the PLA. There are also four amphibious mechanized infantry divisions (AMID) that are part of the PLA Ground Force. These units are essentially mechanized divisions equipped with more amphibious vehicles and river crossing equipment. In effect, the divisions are more suited to crossing rivers and lakes than in taking part in actual seaborne operations. Under the reorganization of the PLAN Marines Corps, the future of AMID is unclear. 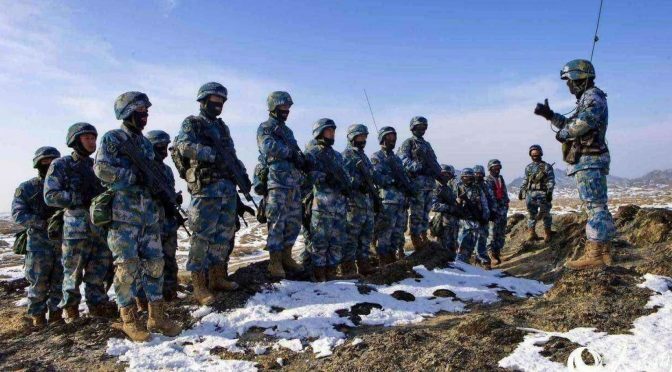 Around the same time that the PLAN Marine Corps reports emerged, PLA Ground Force restricting was also announced. From 1949 through the mid-1980s, the Ground Force was organized into 70 corps. Then, during one of the previous reorganizations, the number was halved and later reduced to 24. At the same time, the corps were renamed “group armies.” During subsequent reductions in the 1990s and 2009, their number fell to 21 and, eventually, to 18 corps. Now, the group armies are returning to corps and further decreased in number to 13. This change, however, has a deeper meaning. Specifically, the 16th and 47th Group Armies will be disbanded. 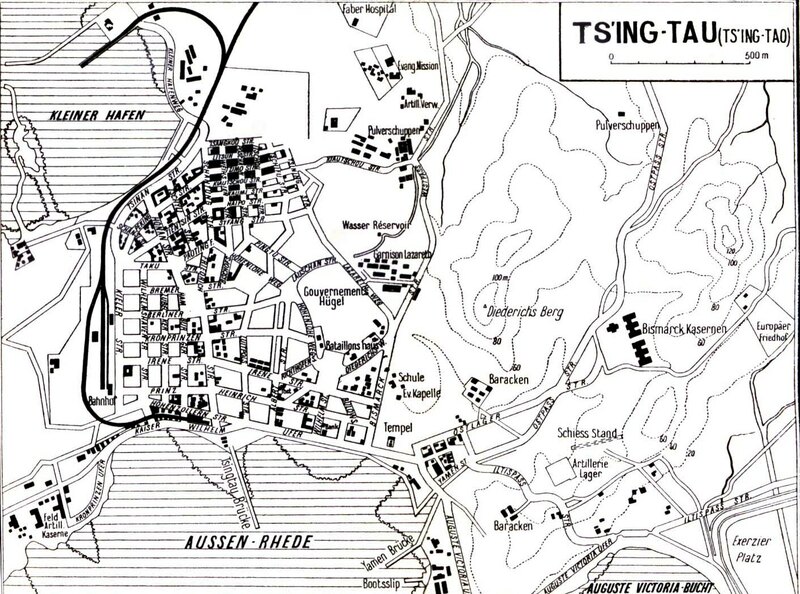 Both are large units and were closely linked to the aforementioned Generals Xu and Guo. According to social media, not all soldiers from disestablished units will leave the military – some may be reassigned, even to the Air Force, Navy or Rocket Force. Some of the other units that will be disbanded are the 14th, 20th, 27th and 40th group armies. In April 2017, further information was officially disclosed by the Ministry of Defense, when it revealed an even more drastic reorganization. The entire PLA will be divided into 84 corps that will comprise all military branches, as well as garrisons, reserves, military academies, and research units. This means an interruption of historical continuity, cultivated mainly in the Ground Force, in which new army corps will have numbered from 71 to 83. Most of them will be located in northern and western China, opposite the U.S. forces and Japan, but also Russia and North Korea. Airborne units have also undergone serious organizational changes. Until 2017, there had been three airborne divisions (43rd, 44th, and 45th), organized into the 15th Airborne Corps, subordinate to the PLAAF. Each division consisted of two airborne regiments, a special forces group, an air transport regiment, and a helicopter group. After the recent reorganization, the PLA Airborne Corps was created, and separate divisions were disbanded. Airborne regiments were reclassified as brigades (127th, 128th, 130th, 131st, 133rd, and 134th), and special forces and transport groups were organized into separate brigades. Confusingly, signal, chemical and engineering troops have been assigned into a single brigade. This solution is perceived as the next step in the development of a robust Chinese airborne force and their transformation from light troops into heavily armed units modeled after Russian paratroops. A reorganization of a structure as big and complex as the PLA is never an easy task and it is compounded by resistance from active and veteran military personnel. Unlike the USSR, there is no clear division between party, military, and security force. Further, the military has always had a strong influence on the state apparatus. During his second term, Hu Jintao warned about the negative consequences of this system. Despite silencing the most hostile officers whose status and influence were endangered by the reform, protests by lower ranks and veterans show that the Communist Party of China has to be very careful. 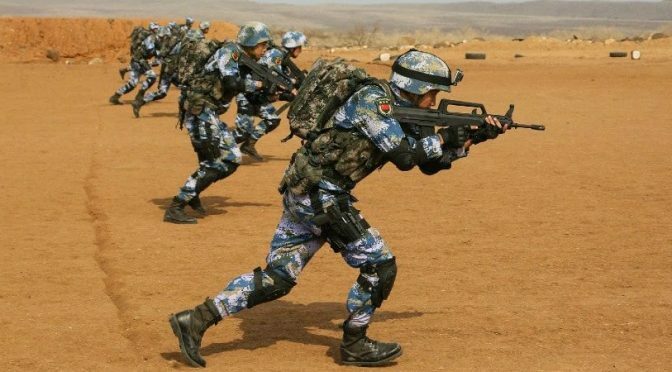 From the military point of view, the reform aims to convert the force designed primarily to defend Chinese territory into one prepared for expeditionary operations. Pawel Behrendt is a Political Science Ph.D. candidate at the University of Vienna. He is an expert at the Poland-Asia Research Center and is the deputy chief-editor of konflikty.pl. Find him on Twitter @pawel_behrendt.